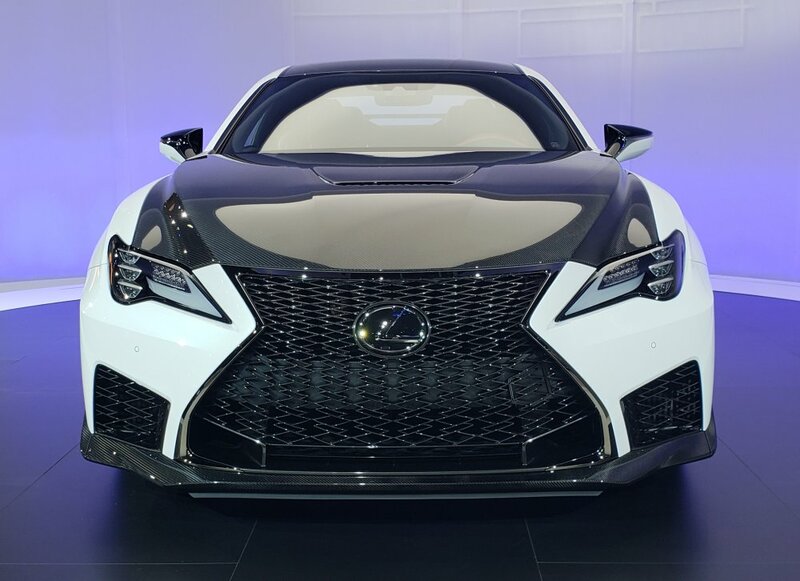 Lexus used the opening media day of the 2019 North American International Auto Show to introduce the next step in the performance evolution of their RC sports coupe. 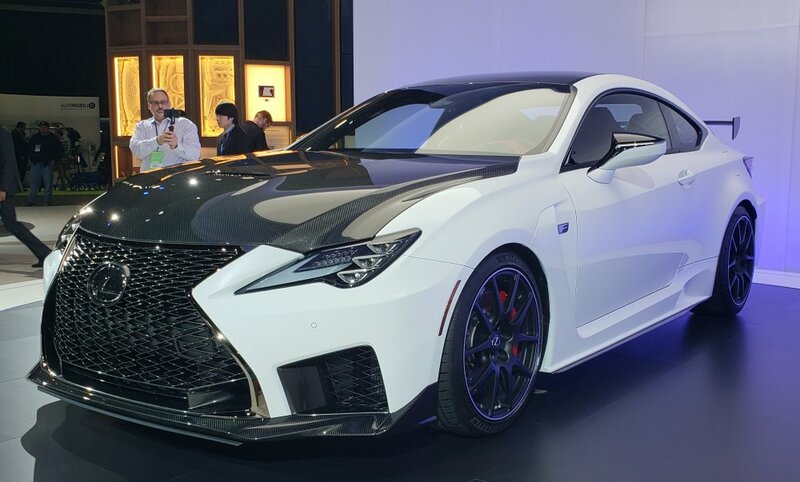 Build on the RC F, the Track Edition adds an array of aerodynamic upgrades, a pretty significant reduction in weight, five more horsepower, a retuned suspension system and a new look up front and out back. Since the horsepower increase is really the least-impressive aspect the RC F Track Edition, we will start with that. Lexus is squeezed five more horsepower out of their naturally-aspirated, 5.0-liter V8, lifting it to 472 horsepower while torque is up six clicks to 395 lb-ft. Those increases will also be extended to the non-Track Edition RC F, so the power increase is for the model, not the particular package. 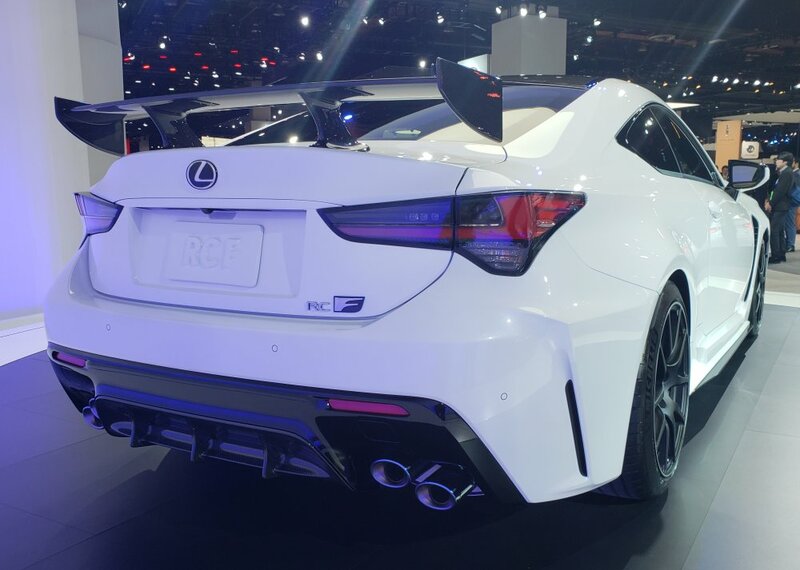 In Track Edition form, the RC F will dash from 0 to 60 miles per hour in just 3.96 seconds with help from the new Launch Control system. 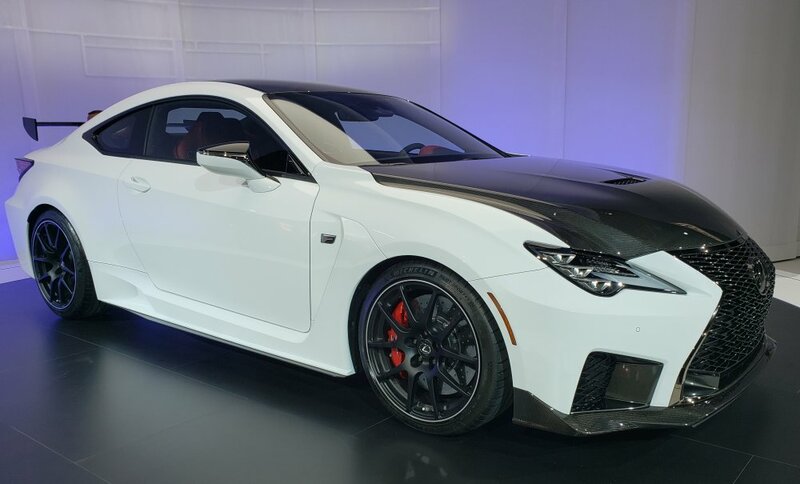 The 2020 Lexus RC F Track Edition’s most prominent feature is the huge rear wing out back, which works in conjunction with the new front splitter to offer 58 more pounds of downforce at high speed, allowing the car to stick to the track better when entering and exiting turns. These two items also reduce drag, but the luxury automaker did not announce the exact number for that metric. 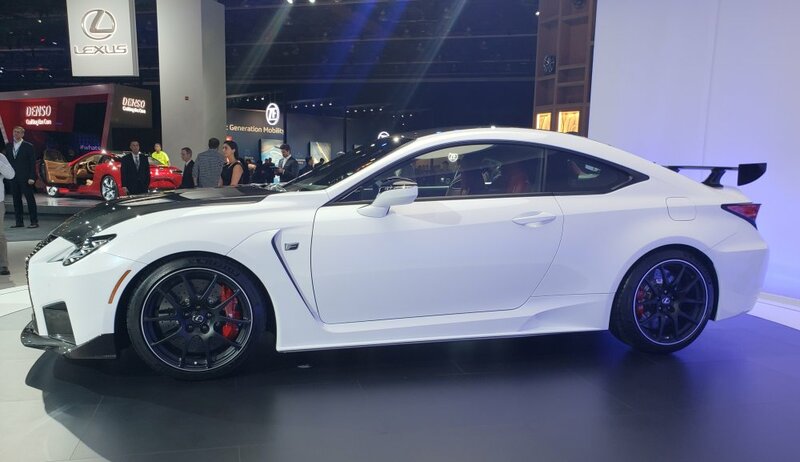 The 2020 Lexus RC F Track Edition weighs 176 pounds less than the standard RC F and this drop was achieved by adding a carbon fiber hood and roof, Brembo carbon ceramic brakes behind lightweight BBS wheels, a carbon fiber cabin partition, lighter suspension components, a lighter intake manifold, a lighter air condition compressor and a titanium exhaust system. The new suspension bits of the Lexus RC F Track Edition help reduce weight, but the new components are also stiffer, from the dampers to the bushings. The Track Edition employs hollow half-shafts in the rear end, aluminum suspension brackets all around stiffer bushings in the rear suspension arms and stiffer motor mounts, furthering to stiffen up the chassis while working to keep weight down. 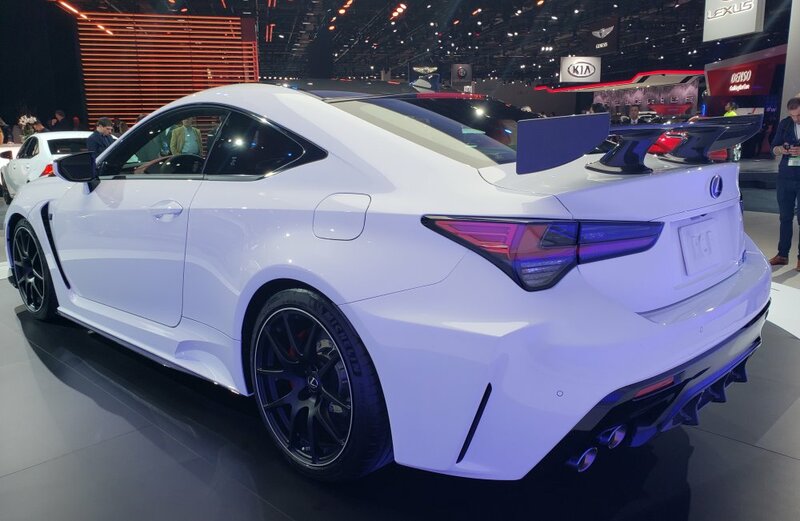 Finally, the RC F in standard and Track Edition form get a new headlight and taillight design for 2020. Of course, these changes don’t improve performance, but the headlights are more aggressive, leading to a meaner- looking sports car. 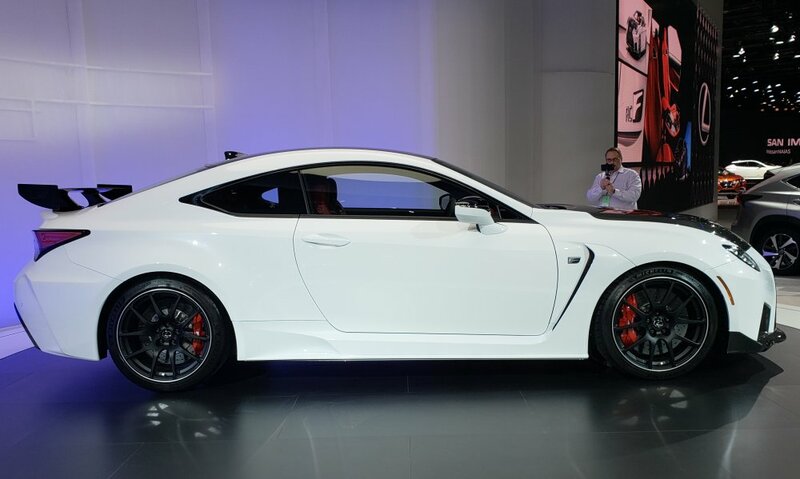 Pricing has not been announced, but we can expect that the Track Edition will cost at least a few thousand dollars more than the $65,000 standard RC F. Considering that the standard models are seeing some improvements as well, the pricing of the whole range could shift up a bit, but in the end, buyers are getting an even better luxury-performance coupe.